Miss you lot Kabaddi Super Star Anup Kumar. Thanks for all great victory of Indian Kabaddi with you. All good things must come to an end...but #AnupKumar can certainly retire with pride after being the torch bearer of #Kabaddi for years! Incredible tactician & a wonderful leader of men! 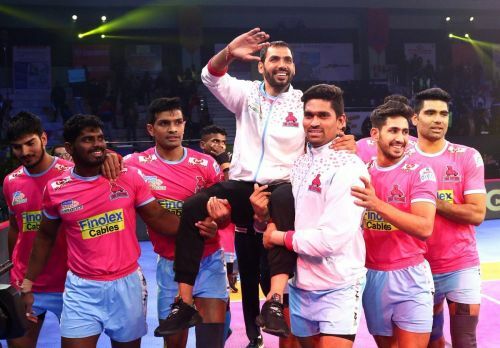 India's kabaddi captain Anup Kumar calls time on a stellar career! ArjunaAward,@IamAnupK u were major reason behind me following the sport,u ll always be rated as one of greatest sports leaders!